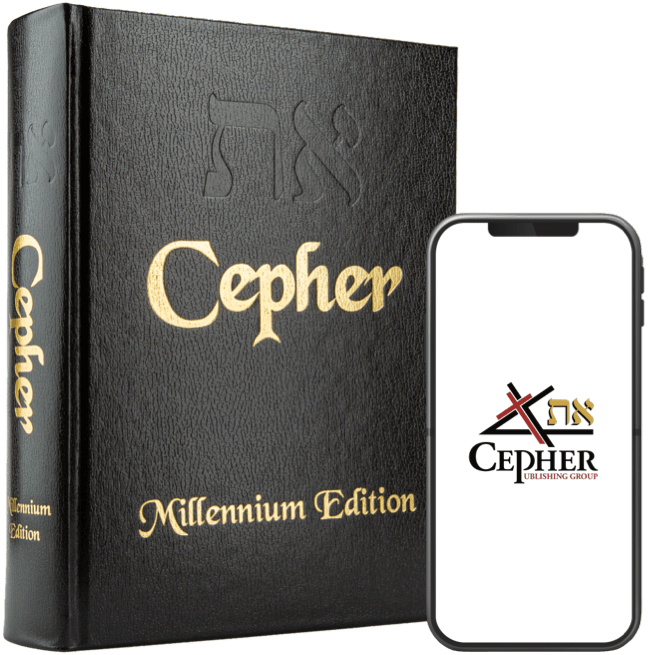 Before using the Yom Qodesh (the guide to the Torah Portion through to the end of the Feast of Tabernacles in 2017 – available for purchase at http://cepher.net/product/yom-­‐‑ qodesh/), the code of the Scriptural calendar must be deciphered! If you herald from the Gregorian world, you will look at these dates and scratch your head. So, to best understand the days we are discussing, we Oirst review the calendar that is used in the development of this book. And you shall number seven Sabbaths of years unto you, seven times seven years; and the space of the seven Sabbaths of years shall be unto you forty and nine years. 9 Then shall you cause the shofar of the jubilee to sound on the tenth day of the seventh month, in Yom Kippur shall ye make the shofar sound throughout all your land. 10 And ye shall hallow את the Aiftieth year, and proclaim liberty throughout all the land unto all the inhabitants thereof: it shall be a jubilee unto you; and ye shall return every man unto his possession, and ye shall return every man unto his family. 11 A jubilee shall that Aiftieth year be unto you: ye shall not sow, neither reap that which grows of itself in it, nor gather the grapes in it of your vine undressed. 12 For it is the jubilee; it shall be holy unto you: ye shall eat the increase thereof out of the Aield. 13 In the year of this jubilee ye shall return every man unto his possession. 14 And if you sell ought unto your neighbor, or buy ought of your neighbor's hand, ye shall not oppress one another: 15 According to the number of years after the jubilee you shall buy of your neighbor, and according unto the number of years of the fruits he shall sell unto you: 16 According to the multitude of years you shall increase the price thereof, and according to the fewness of years you shall diminish the price of it: for according to the number of the years of the fruits does he sell unto you. 17 Ye shall not therefore oppress one another; but you shall fear your ELOHIYM: for I am YAHUAH your ELOHIYM. So, you start your count at year one, which is the Oirst year. At the end of that year, you en-­‐‑ ter into year two, and so on. Every seventh year is called a Sabbath year or a Sabbatical year. So, when you have gone through seven of these Sabbatical years (year 7, 14, 21, 28, 35, 42 and 49) you arrive at the 50th year, which is the Jubilee year. Then, you start your count again, beginning with year one. Our Yom Qodesh assumes that the Gregorian year ending with 17 and 67 are Jubilee years, and that the Gregorian calendar year 2017 is the 120th Jubilee, or six thousand years from the breathing of the soul into Adam, the Oirst man. AndYAHUAHְיהָֹוה spokeאָ ַמרtoMosesמֶֹשׁהandAaronאַ ֲהרוׂןinthelandֶאֶרץ ofEgyptִמ ְצַרִים ,say-­‐‑ ing 2 ,אָ ַמר This month ח ֹ ֶדשׁ shall be to you the beginning ר ֹאשׁ of months ח ֹ ֶדשׁ: it shall be the Airst ִראשׁוׂן month ח ֹ ֶדשׁ of the year ָשׁ ָנה to you. As it turns out, this month is called aviv, which also describes a condition of the winter bar-­‐‑ ley when it is ready for harvest. The months in scripture are named by their number, but there are exceptions. For instance, it is possible to call the Oirst month rishon (Oirst), but there are numerous references to the month being called aviv – the month of the barley ripening and its harvest. 1. Aviv אָ ִביב (Green grain) (known in the modern Jewish calendar as Nisan, which means redemption. And in the eleventh ֶא ָחד ֶע ֶשׂר year ָשׁ ָנה , in the month ֶי ַרח Bul בּוּל, which is the eighth ְשׁ ִמי ִני month ח ֹ ֶדשׁ, was the house ַבּ ִית Ainished ָכּ ָלה throughout all the parts ָדּ ָבר thereof, and according to all the fashion ִמ ְשׁ ָפּט of it. So was he seven ֶשׁ ַבע years ָשׁ ָנה in building ָבּ ָנה it. Now we know the names of the months, but we don’t know how to calculate the days which begin the month, and we don’t know how to calculate the day of the Oirst month. This has been a question for some time, but we can get a hint about how we calculate the Oirst day of the month, for the Oirst day in Hebrew is called Rosh HaKhodesh החודש ראש, which also means the New Moon. Isn’t that convenient? There is a debate between the word found here, which is kehseh ֶכּ ֶסא , which means (appar-­‐‑ ently) a feast of the moon, versus the word kahsah ָכּ ָסה , its root, which means to cover, clothe, hide or conceal. This day is known as the day of shofar (trumpet) blowing, or Yom Teruah ְתּרוּ ָעה . Looking at the Psalm again, we Oind that a shofar is blown in the new moon, on our solemn feast day; so it seems to Oit. But Yom Teruah is not a solemn feast day; rather it is a miqra ִמ ְק ָרא , which means a public assembly; a convocation. The feasts are speciOically denoted as the feast of Matza ַמ ָצּה (un-­‐‑ leavened bread), the feast of Shevua ָשׁבוּ ַע (weeks) and the feast of Sukkah ֻס ָכּה (tabernacles) or Sukkoth in the plural. Here, the scripture distinguishes between the new moons and the solemn feasts, each of which are called moed מוֹ ֵעד, which means an appointed, solemn feast. There are three solemn feasts: Matza, Shevua and Sukkoth. Yom Teruah, on the other hand, is a miqra. It seems, though, Yom Teruah has evolved to become a solemn feast day, most likely as a re-­‐‑ sult of this Psalm. In modern Judaism, the day is now declared to be the new year, or Rosh Hashanah. Yom Teruah begins the seventh month, not the Oirst month. The Oirst month is Aviv. Yet, this Psalm reveals something more. When the word kehseh ֶכּ ֶסא , is given the meaning to cover, clothe, hide or conceal, then the shofar is blown at the covered new moon, harkening the solemn feast day which is Sukkoth. What is all this hubbub about the covered moon? The reason this is so important is be-­‐‑ cause this verse indicates that the Oirst day of the month begins with the zero moon, not the sighting of the sliver moon. This make the beginning of the month exactly the same dis-­‐‑ tance to the full moon as it is from the full moon. So how can we know the Oirst day of the year? Easy! When the barley is aviv (ripe for har-­‐‑ vest), you can declare that moon cycle to be Aviv! Historically, this is an impossible feat, be-­‐‑ cause we were not there to give an eye witness account. Therefore, we generalize. The best way to understand this Oinding is to place the miqra of Bikoor (Oirst fruits) on a day that is after the vernal equinox in the Spring and before the zero moon which begins the new month following the vernal equinox. Simple as that. Now, it is time to understand the cycle of the feasts and the appointed assemblies, so that you might make sense out of the timing in this book. These are described generally in the book of Vayiqra (Leviticus) chapter 23. To understand these days, you must realize that the day begins at sundown. Hence, the Sabbath, which is the seventh day (Sabbath in the com-­‐‑ mon understanding) begins at sundown on Friday day evening. The time following sun-­‐‑ down, but before bedtime, is called the erev ֶע ֶרב , so the evening of the beginning of Sabbath is called Erev Sabbath. or chag ָחג which begins the feast of Matza. Matza continues for seven days, and during the course of this chag, there is necessarily a regular Sabbath (Sabbath). The day after the Sabbath during Matza is an appointed assem-­‐‑ bly called First Fruits or Bikoor, which celebrates the harvesting of the barley and the end of the season of eating stored food. This is partly why the leaven is removed from the house as part of the cleaning out of the pantry, if you will, in preparation for a new growing sea-­‐‑ son. Seven weeks following the feast of Bikoor (Oirst fruits), or 50 days following the Sabbath within the Feast of Matza, we arrive at the center of the feasts called Shevua or Shevuoth (in the plural). You may know this as Pentecost. like as of Aire, and it sat upon each of them. 4 And they were all Ailled with the Ruach HaQodesh, and began to speak with other tongues, as the Ruach gave them utterance. For Ainding fault with them, he says, Behold, the days come, says YAHUAH, when I will make a new covenant with the house of Yisra’el and with the house of Yahudah: 9 Not according to the covenant that I made with their fathers in the day when I took them by the hand to lead them out of the land of Egypt; because they continued not in my covenant, and I regarded them not, says YAHUAH 10 For this is the covenant that I will make with the house of Yisra’el after those days, says YAHUAH; I will put my Torah into their mind, and write it in their hearts: and I will be their Elohiym, and they shall be my people. From Shevua, we proceed to the seventh month, on the Oirst day of the month, which is Yom (the day) Teruah (of the Shofar blast). As explained above, this is the day that is celebrated as Rosh Hashanah within Judaism. The sounding of the shofar in a particular way (a blast of nine short notes called the teruah) is a warning to the whole of the house of Yisra’el that there are 10 days to prepare the heart for repentance before YAHUAH. Also on the tenth day of this seventh month there shall be a day of atonement: it shall be a holy convocation unto you; and ye shall afAlict your souls, and offer an offering made by Aire unto YAHUAH. 28 And ye shall do no work in that same day: for it is a day of atonement, to make an atonement for you before YAHUAH your Elohiym. 29 For whatsoever soul it be that shall not be afAlicted in that same day, he shall be cut off from among his people. 30 And what-­‐‑ soever soul it be that does any work in that same day, the same soul will I destroy from among his people. 31 Ye shall do no manner of work: it shall be a statute forever throughout your generations in all your dwellings. 32 It shall be unto you a Sabbath of rest, and ye shall afAlict your souls: in the ninth day of the month at even, from even unto even, shall ye celebrate your Sabbath. 15th day of the seventh month, and continues for seven days, through to the 21st. However, it is part of the practice to celebrate on the eight day (the 22nd of the month) the completion of the reading of the Torah. In addition to the seven feasts, there are also seven fasts. Four fast days emerge from the scripture set forth in Zakaryahu (Zechariah) 8:19, which are declared to commemorate the destruction of both the Oirst and the second temples, and the exile of the House of Yahudah into Babylon and beyond. There are a total of seven tzomot (fasts) including the fast that is declared for Yom Kippur. Thus says YAHUAH TSE’VAOTH; The fast of the fourth month, and the fast of the Aifth, and the fast of the seventh, and the fast of the tenth, shall be to the house of Yahudah joy and gladness, and cheerful feasts; therefore love the truth and peace. Ta’anit Bikooriym. This is a fast of the Oirst born which is only observed by Oirst born males. This fast commerorates the salvation from the tenth plague of the Oirst born in Egypt, although following the destruction of the second temple, it also mourns the end of the Levitical priesthood. This fast is observed on the day of Pesach (14 Aviv). Tzom Revi’iy. This is a fast day on the 17th of Revi’iy (Tammuz), which commemorates the breaking down of the wall of Yerushaliym by Nebu’chadnezzar, and the taking away of the Temple sacriOice during the siege of Titus in 70 A.D. This is the fast of the fourth month. ond most important fast in the Yahudi world. On the eve of the fast, it is customary to eat a boild egg sprinkled with ashes. Tzom Gedaliah. This is the fast of the seventh month, and is a fast that occurs immediately following the two day celebration of Yom Teruah, which occurs on the Oirst day of the sev-­‐‑ enth month. This fast commemorates the assassination of Gedaliah, the king who replaced Zedekiah, the replacement of Yahoikim, the last rightful king of Yahudah in the line of Jesse (until HaMashiach). And this shall be a statute forever unto you: that in the seventh month, on the tenth day of the month, ye shall afAlict your souls, and do no work at all, whether it be one of your own country, or a stranger that sojourneth among you: 30 For on that day shall the priest make an atone-­‐‑ ment for you, to cleanse you, that ye may be clean from all your sins before YAHUAH. 31 It shall be a sabbath of rest unto you, and ye shall afAlict your souls, by a statute forever. Then I proclaimed a fast there, at the river of Ahava, that we might afAlict ourselves before our ELOHIYM, to seek of him a right way for us, and for our little ones, and for all our substance. Ta’anit Esther. The fast of Esther is observed on three days before Purim, on Asar Shenay-­‐‑ im (Adar) 11, and is traditionally a three day fast.